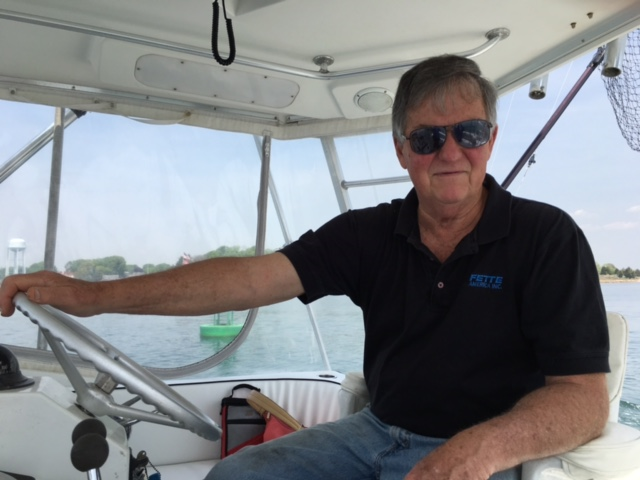 Jim Davis is Captain of the Rhode Island Fishing Charter Boat, Reel Steal, and has been fishing these waters for more than 45 years. Captain Jim fished to pay for his education and has fished the waters off Panama, Costa Rica, Bahamas, and the Florida Keys as well as the entire East Coast and California. As Captain Jim says “We know how to catch fish and we have a great time doing it”. Captain Jim and mates Birch, Alden, and AJ will show you techniques that are not used by many Rhode Island fishing charter boats. We don’t believe in having clients “snap wire” all day long and have to quit from exhaustion before the day is complete. Our methods also do not confine us to the depths at which wire snappers are forced to fish. Our techniques can identify and target fish down to 100 feet, instead of being limited to the 30 or 40 feet that occurs with wire snapping. Come aboard and you’ll soon realize that “seeing is believing”.